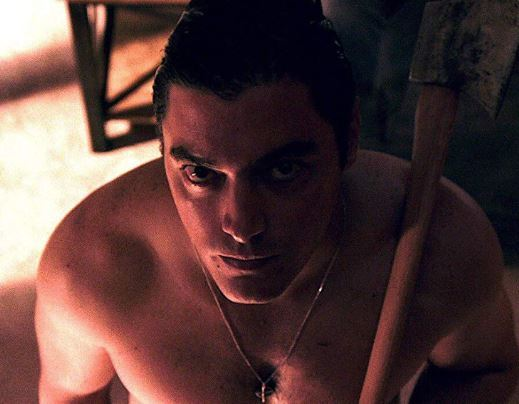 Freddy Beans here with a review of an ambitiously dark, second film from Sean Hartofilis, titled COVADONGA. COVADONGA starts in an expansive cabin home on the edge of Lake Wallenpaupack. It’s an ideally isolated location to showcase Martin Ravin’s solitude in the world. Martin just lost his young wife Maggie. We learn later she was killed violently at a school, though we don’t get the exact details. Martin is clearly ruined over the loss. He’s chopping wood like a madman, screaming at mirrors, running razors questionably over his own chin, and slowly becoming a little less and less tethered to reality. Everything is fine and dandy though. There are no neighbors to complain about the lonely guy losing his marbles and if there were they’d surely be entertained by his nightly music. You see, Martin expresses his grief through a repretoire of Irish folk songs. He’s not a bad musician which is a nice bonus, he can sing and pluck the guitar just fine! Martin’s lake home has a veranda encircling the entire property. He likes to sit there contemplating his lot in life. It’s in one of these moments that he notices a drunken couple walk-stumbling to his dock. They’re trespassing and Martin watches them hawk like as they giggle and unmoor his boat in the fading sun. The boy (Matthew Montemaro) returns at night but he’s alone this time. His female companion is nowhere to be found. This infuriates Martin and he runs to kidnap the boy to find out why they boy returned alone. He tortures the boy with more Irish songs but doesn’t really seem to want answers. It’s almost like he kidnapped the boy to keep his own demons at bay. That’s the basic synopsis and set up. COVADONGA goes down some dark paths. Mostly letting us envision where this new duo will settle finally. There’s a briefly spewed tirade, where Martin connects current events to the Battle of Covadonga in 718-722. I don’t think I understood the connection and as it’s the title of the movie, I’m a bit disappointed in myself there. This entire film had 10 shooting days, on a meager budget of $40,000.00. 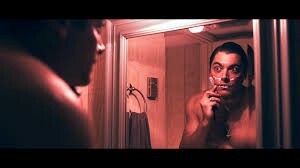 This is lean low budget filmmaking at its very best. 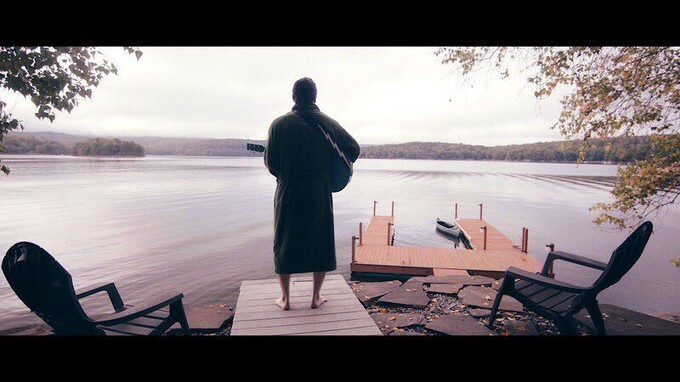 Sean Hartofilis is a one man band that carries this entire film to the satisfying conclusion. He’s the director/writer/main star/ and producer. Without him we get a lot of great panoramic shots of a beautiful lake, nothing more. He makes us believe his sad sack lot in life, that and the loss, eventually mutating into an anger that consumes him. There’s a guest spot by Sean’s father Geroge (Detective Elias) near the end of this one. There’s also another surprise visit before the film fades to credits. A visit, that deeper explains those folk songs and their significance throughout the film. I really appreciate the amount of work it must have taken to get this film made. It’s impressive that Sean has been able to create a film with so little. Even the story is a master class in budget filmmaking. It’s talent like this that the big studios should be looking for. There’s more organic heart in COVADONGA than most Hollywood films try so badly to force feed their audience. I’m absolutely looking forward to Sean’s next film “stART.” A film based on the first caveman artist painting his abode. Where the inspiration to do so came from and how his family and local community react to his newly found liberal lifestyle. 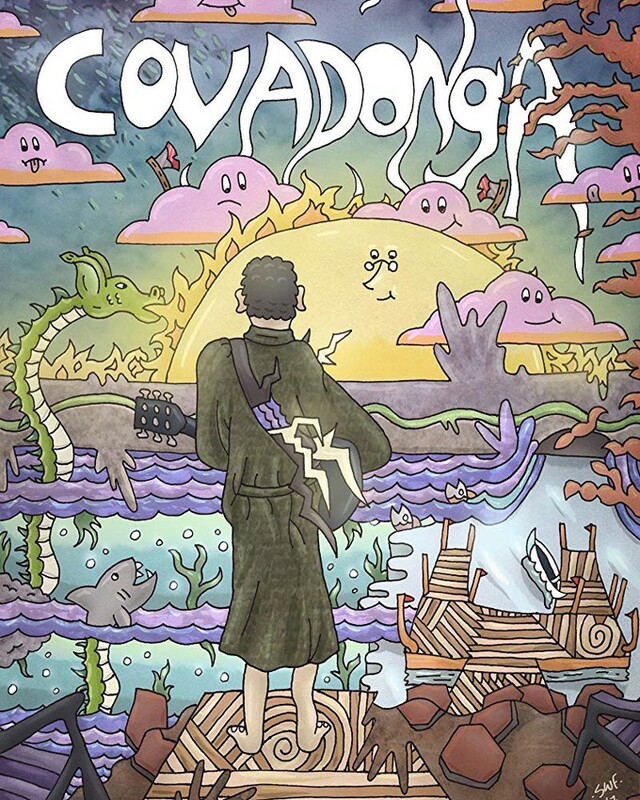 COVADONGA is available now on Amazon.